Good day to all.!! Thanks for stopping by to see what I'm up to :):) Boy, It sure is HOT here in Arizona!! I finished up the blue quilt :) I must have started this thing 5 or 6 years ago. So, that's what I did this week. Ya'll have a super day now, Ya hear!!!! 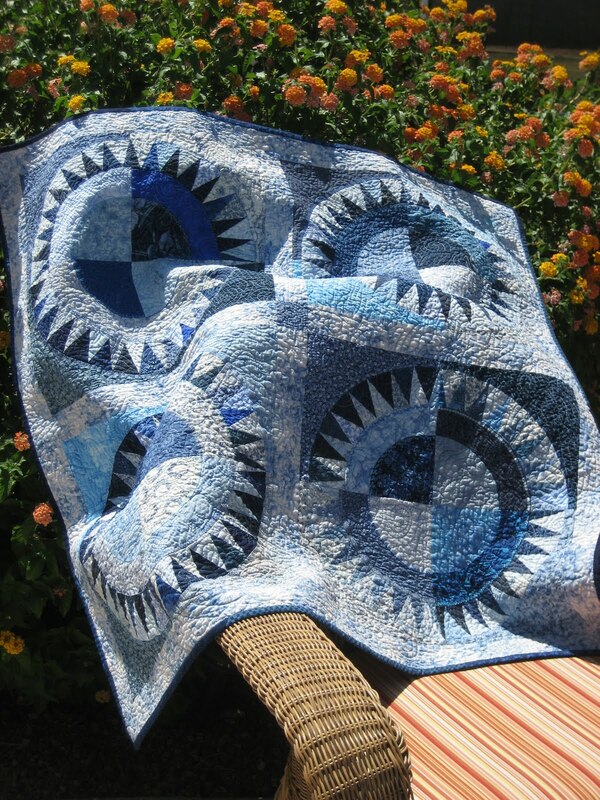 Congrats on finishing your quilt! It's beautiful.Blue is one of my favorite colors. So nice to meet miss Penny! What a nice big smile she has. Tell her she will wrinkle all that pretty skin if she stays out in the sun too long!